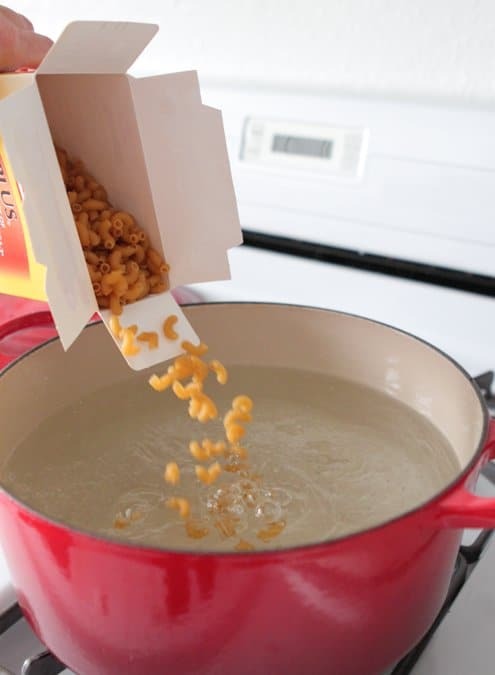 Sharing my, How to Make the Perfect Mac and Cheese recipe today! 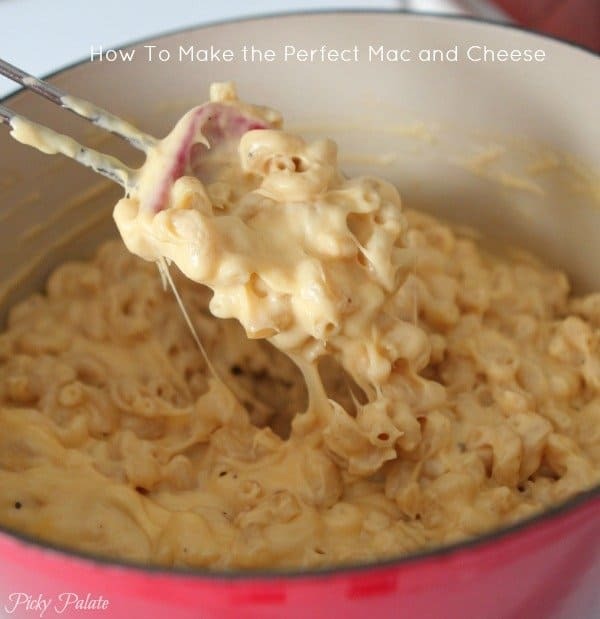 The PERFECT Mac and Cheese recipe that is creamy, cheesy and absolutely needed! 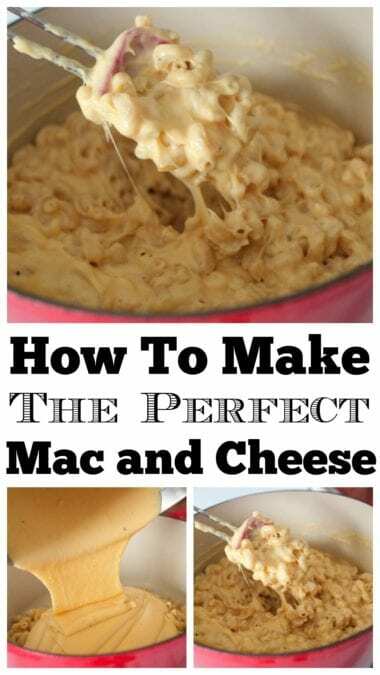 How To Make The Perfect Mac and Cheese Recipe…..what makes the perfect mac and cheese in your opinion? Good ol’ Kraft right out of the box? 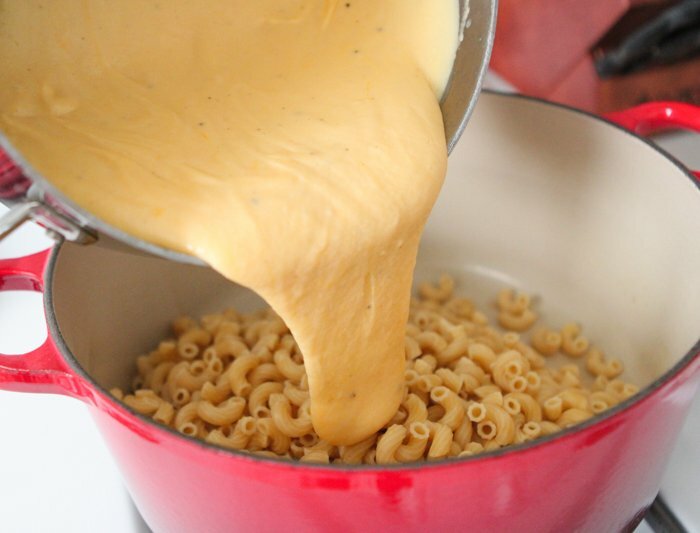 Homemade thick and cheesy on the stovetop? Baked with a crispy topping and lots of ingredients inside? I think it’s a bit different for everyone, but let me tell you about my perfect mac and cheese. See my Bacon Mac and Cheese Recipe too! Let’s start by cooking your pasta. Make sure you do NOT overcook your pasta. 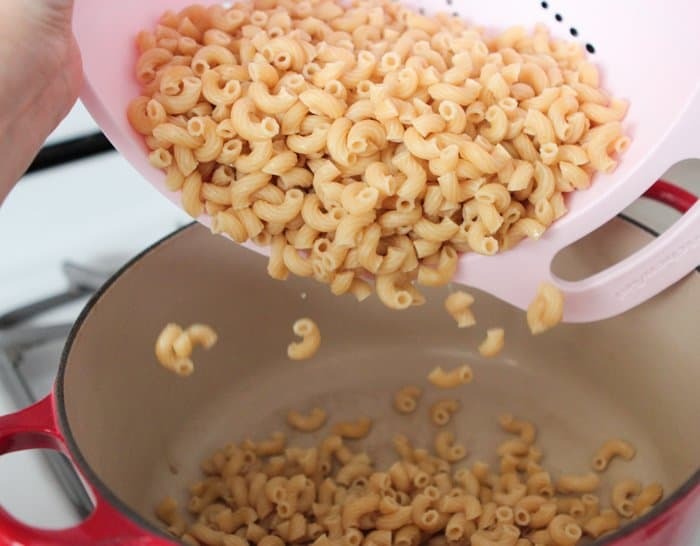 You want a nice bite to your pasta so there is texture to the dish. I always cook it 1 minute less than the box says so there’s a little bite. 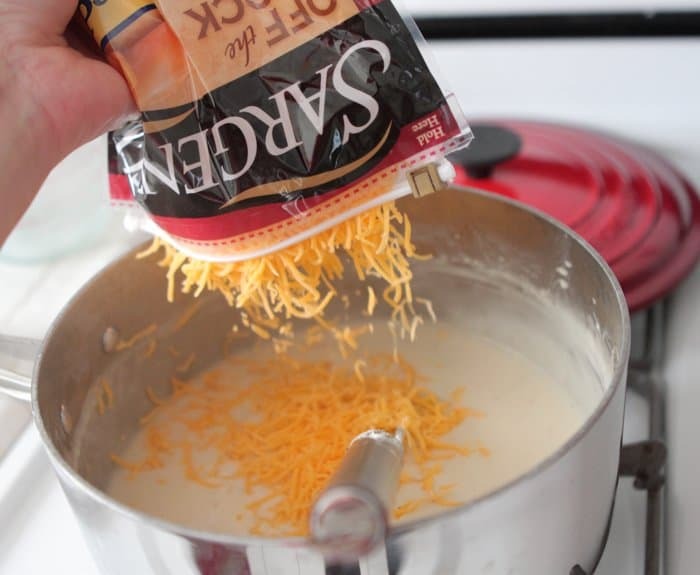 The pasta will also cook more in the cheese sauce. I add a pinch of nutmeg. Makes a difference and I really miss it when I forget to add it. and now i’m craving mac n cheese at 11o’clock at night. 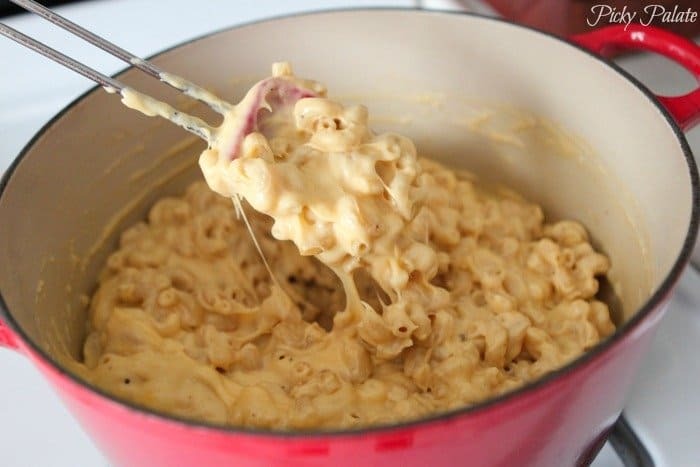 This mac n’ cheese look delicious! 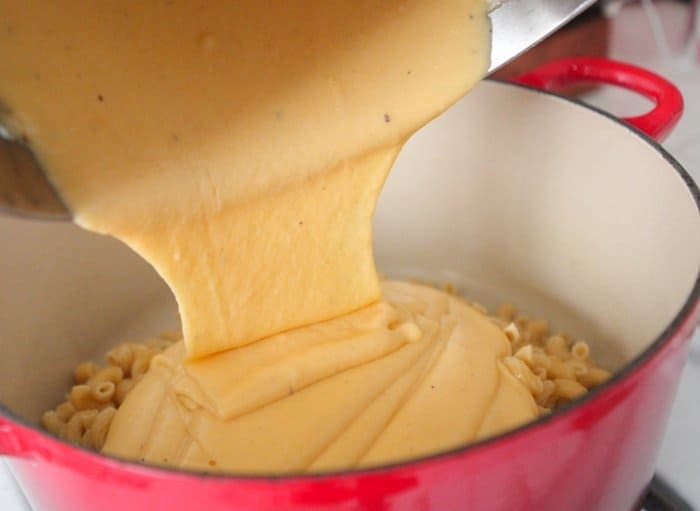 I’m typically not one to like pot versions of mac n’ cheese when I make it homemade, but I would be willing to give this one a go. The ooey gooey cheesiness makes my mouth water! 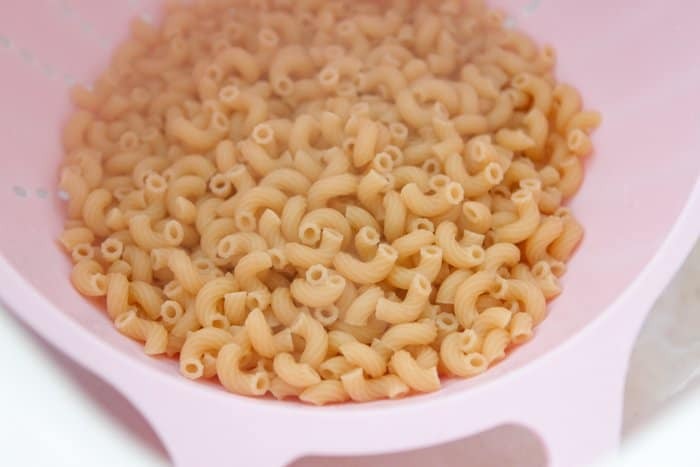 I LIVED off of mac and cheese as a kid – it was my favorite meal and to this day – still totally is. 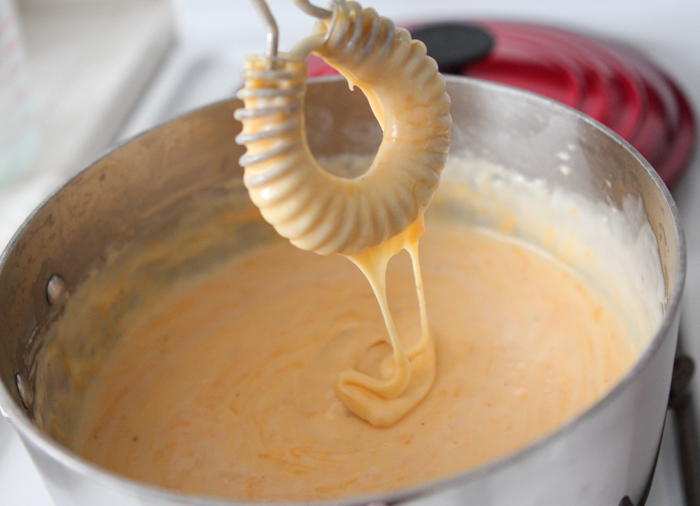 Your roux and cheese sauce looks like heaven in cheese form Jenny! I can’t get over it! This one is going into the recipe bookmark! I will be trying it this Thursday for our Pee Wee football tailgate. So glad to hear it JoAnna, thanks for the feedback!! I made this recipe tonight with meatloaf. My fiance, my 2 year old daughter and I finished off most of it in one sitting. So good! I may never make boxed Mac and cheese again. This is coming from a boxed Mac and cheese confectionist. Well done. 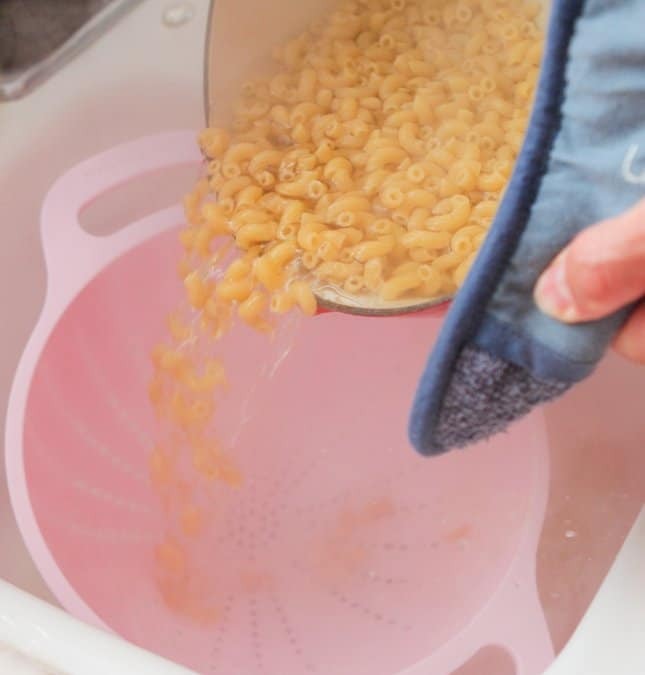 We don’t eat nearly enough macaroni and cheese, and I can’t wait to see what you added to this. I like my mac ‘n’ cheese slowly baked in the oven if only for the crunchy bread croutons on top that are a memory from childhood. However, I do love a creamy, luscious stove top version too. Decisions, decisions. Question: how much in terms of cups is equivalent to 3/4 lb of dry pasta? Thanks! 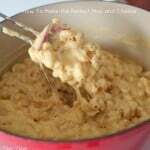 It only took me four years to find the best mac and cheese recipe! Thank you so much for posting this! It’s perfect. Mine never got thick. Any recommendations? Followed the recipe exactly :(. Crumble a pound of crispy bacon in there and it will be perfect 🙂 thanks for sharing! A+… By far the best Mac and Cheese I’ve ever eaten… I followed every direction and it was Amazing. Looks good but should you put butter? can I use whole milk? thanks. Made this today and is was sooooo good,definitely the best mac and cheese. I tried this recipe last night and I found it has too much flour. It looked so yummy – but the taste of flour was just too much – it probably needs at least 1/2 the amount. I have to say, it was the picture of your mac and cheese and all its ooey gooey creamyness that made me click on it in Pintrest. I will definately be trying this later this week. This is similar to the recipe I use (from the back of the Prince elbows box! ), but then I put it in a casserole, top with half a sleeve of crushed Ritz Crackers and bake for about 30 minutes. SO yummy! Oh, and sometimes I add BACON, too, because, well, it’s bacon! Thank you!!!!!!!!! Went one step further and put mac cheese in casserole dish topped with 1/2 cup of shredded sharp cheddar and baked until melted. Perfection. Thank you, thank you, thank you! The ad screen area percentage keeps increasing with a wider or a second column, or with a deeper or a second row. determines how happy your advertisers are with your service. renovated and eye-catching look to its onlookers. this sounds delicious! But how much is a stick of butter? I’ve made this type of mac and cheese for years!! I have changed it up some. I use seasoned flour instead of regular. Really makes it a lot better tasting!! Plus I bake it at 350 degrees for about 20 – 30 minutes or until the top is bubbly and a little brown. minimum. Turn hot water faucets off and be sure they are not dripping. Tried it, did not come out right, too thick and gross. Followed your instructions to the T.
This is similar to a recipe I have used for many years and is the grandkids favorite. I just use a little variation on the amount of ingredients. It works well as long as you do not let the sauce boil. 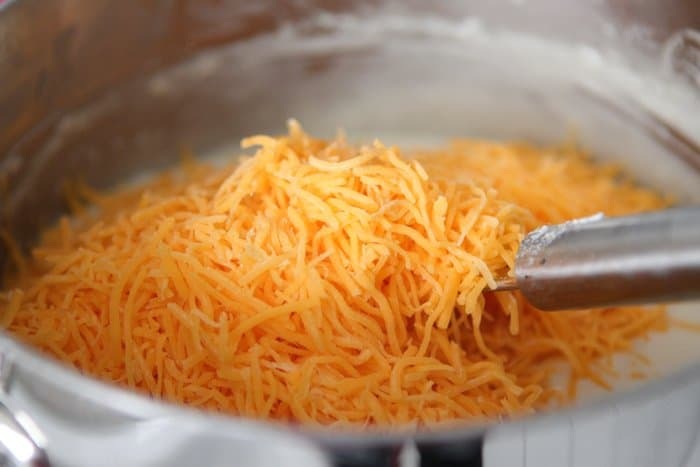 I, too, use brick cheese and not pre-shredded cheese. So much better than the boxed stuff. 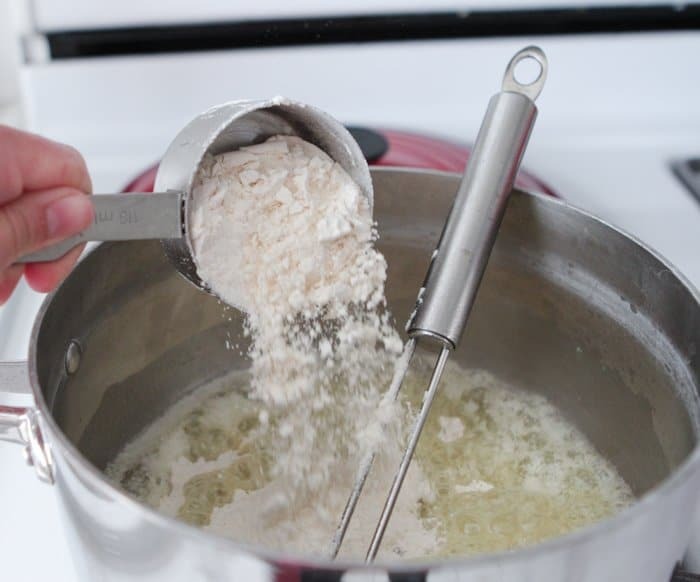 We often mix frozen peas (rinsed) into the finished mac and cheese. I also like it because it uses “regular” ingredients and makes up in a hurry. No trips to the store for special/expensive ingredients. I made this today.. It was good… however next time I think I will use less butter and also no so much flour.. 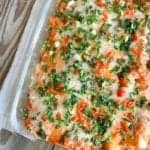 If you like this, try this recipe!! Very similar but a bit healthier and just as amazing. Possibly even better!! Hello ! It’s look so good ! 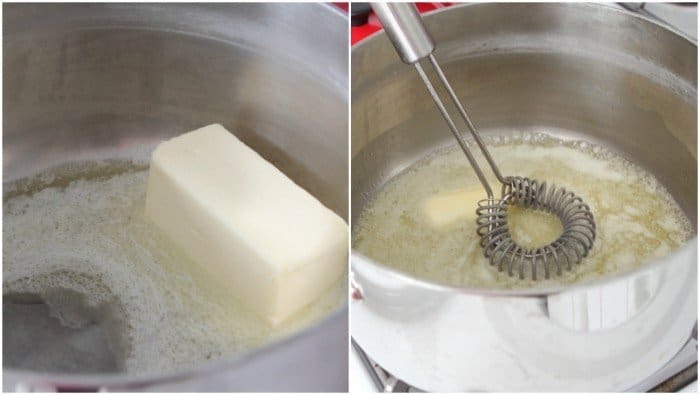 But do you think I can use cream to replace the butter? Super delish!!! Made this tonight with crab meat and Ritz crackers for the top. Tossed in the oven till golden brown!!! Can’t wait to dig in!!! Thank you!! !